Hole 1 : A good opening hole with very little trouble for the straight hitter. A good opening hole with very little trouble for the straight hitter. Out of bounds down the left hand side and trees down the right, with a bunker at 200 metres, beckons the hook or slice. The slightly elevated green protected by bunkers both right and left calls for a precise approach shot to par this hole. Hole 2 : A gentle dog leg right tempting the player to take the tiger line close to the tree line on the right. A gentle dog leg right tempting the player to take the tiger line close to the tree line on the right. 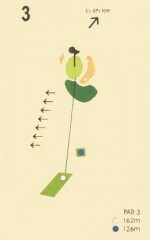 Sloping right to left the fairway punishers any ball hit with an excessive draw and calls for accuracy more than distance. 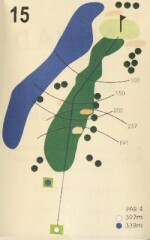 The green has only one bunker on the right awaiting any over hit shots from the left of the fairway. Hole 3 : This is the first of five very interesting short holes on the course. This is the first of five very interesting short holes on the course. Set in heavily sloping terrain the elevated green is protected both left and right by bunkers. Missing the green right will result in the ball coming to rest in a large bunker, while missing the green left will deflect the errand ball down the slope away from the green. Hole 4 : From an elevated tee this is an extremely picturesque hole and the generous fairway is perfect for the long hitter. From an elevated tee this is an extremely picturesque hole and the generous fairway is perfect for the long hitter. A good driving hole but trees to the left and right demand accuracy. The green is protected by three bunkers with the White River beyond. Hole 5 : Possibly the signature hole of the course, this extremely attractive hole calls for an accurate tee shot over the river onto a gently sloping green. Possibly the signature hole of the course, this extremely attractive hole calls for an accurate tee shot over the river onto a gently sloping green. With out of bounds beyond and to the left and water to the right of the green. 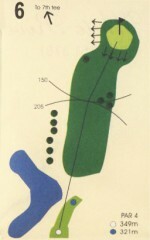 Club selection is the key, Pin placement can have a dramatic effect on the degree of difficulty of this hole. Photo taken from the 4th green. 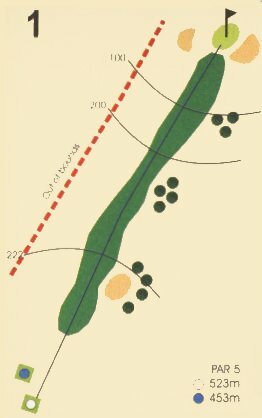 Hole 6 : A dog leg right to an elevated green requires the player to drive for position to ensure a clear approach shot into the green. 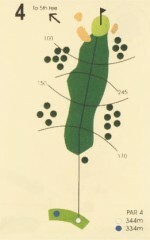 A dog leg right to an elevated green requires the player to drive for position to ensure a clear approach shot into the green. With trees and a water hazard to the right, a narrow fairway, with trees to the left impeding the big hitters second shot this hole requires good course management. A risk and reward par 5. 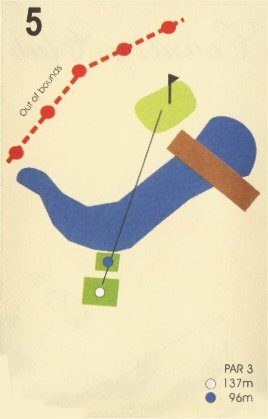 A good drive will allow a second over the river while anything short or off line will require a second lay up short of the river. 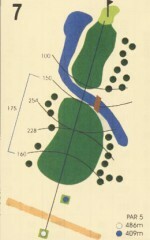 The fairway is protected by trees on the right and rough to the left before the river. Across the river the fairway follows the river to the green with trees to the right. While there are no bunkers protecting the green the river to the left and trees to the right demand an accurate approach shot. Hole 8 : A deceptive stroke 18 hole. 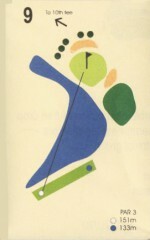 A deceptive stroke 18 hole. Protected by trees to the right and out of bounds to the left with a lone tree to impede any shot off line left, this hole has frequently been the downfall of an otherwise good round of golf. 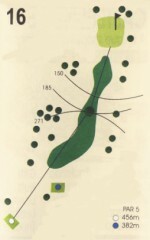 The flat green is protected by bunkers both right and left. 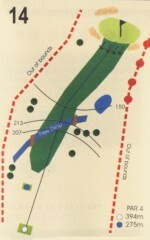 Hole 9 : The third short hole requires a full water carry to the green with the bale out option being well short of the green and any second shot from this area being over the bunker with the water beyond. 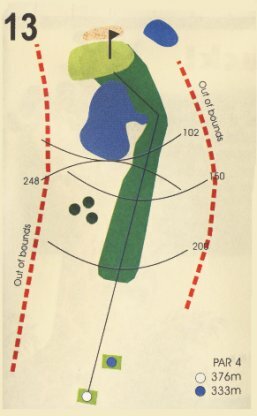 The third short hole requires a full water carry to the green with the bale out option being well short of the green and any second shot from this area being over the bunker with the water beyond. Perched on the edge of the river with bunkers beyond and to the right this is an extremely good golf hole. 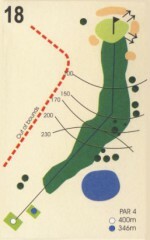 Hole 10 : A difficult hole with hazards left and right of the fairway. A difficult hole with hazards left and right of the fairway. The lake on the left is very much in play with a slight dog leg left tempting the big hitter to take the direct route. 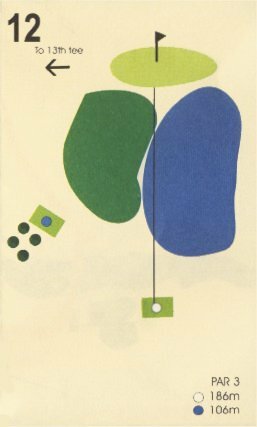 Any excessive draw or fade is severely punished. 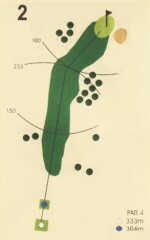 The green is protected by bunkers both left and right and slopes towards the fairway. Hole 11 : A true risk and reward hole, with water running the length of the fairway on the right with the fairway sloping towards the river. A true risk and reward hole, with water running the length of the fairway on the right with the fairway sloping towards the river. A good drive will set up a second into the green but a long drive off line will find water. With no bunkers a small dam protects the green to the left demanding an accurate approach shot to the green. Hole12 : The most difficult of the short holes requiring a carry of 180 metres to the green which is protected by a dam front right and out of bounds just 10 metres beyond. 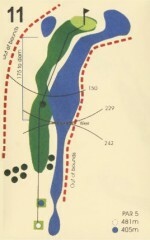 The most difficult of the short holes requiring a carry of 180 metres to the green which is protected by a dam front right and out of bounds just 10 metres beyond. The “safe shot” to the fairway left of the dam brings the out of bounds more into play leaving a difficult chip onto the green. Hole 13 : Although a fairly long carry to the fairway the fairway is generous. Although a fairly long carry to the fairway the fairway is generous. There is a dam on the left and out of bounds on the right. The dam protects the green for 100 metres on the right and there is a bunker at the back right with out of bounds 10 metres thereafter. A good drive is followed by a short iron into the green with a bail out area to the right. Hole 14 : A water canal crosses the fairway at approx 230 meters from the tee box and thereafter the fairway slops down before rising to an elevated green. A water canal crosses the fairway at approx 230 meters from the tee box and thereafter the fairway slops down before rising to an elevated green. The long hitters, and the ladies, should cross the canal and have a short iron into the green. The elevated green is protected by three large bunkers and any approach shot played left, right or beyond the green will require a precision shot to save par. Hole 15 : A good golf hole with a slight dog leg to the right and fairway bunkers on the right at 230 to 250 meters are very much in play. A good golf hole with a slight dog leg to the right and fairway bunkers on the right at 230 to 250 meters are very much in play. 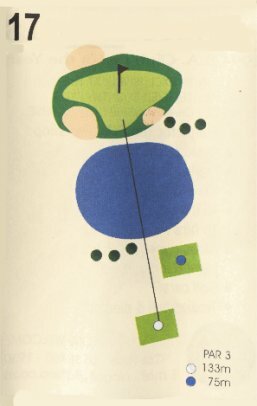 The green is protected by bunkers front right and back left with the White River left of the green beckoning the wayward draw. 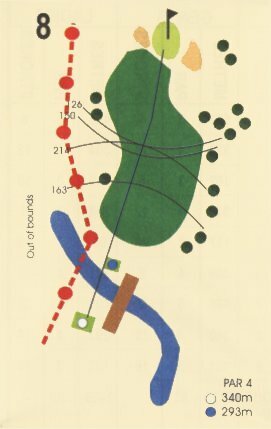 Hole 16 : This is a fairly easy par five with the only obstruction being a large tree in the fairway 276 meters from the tee box, and trees left and right of the fairway. This is a fairly easy par five with the only obstruction being a large tree in the fairway 276 meters from the tee box, and trees left and right of the fairway. With no bunkers around the green a well positioned drive, not behind the fairway tree, makes the green very reachable in two and a birdie is on the cards. Hole 17 : The last of the short holes is a straight forward short iron over a small dam requiring a carry to just short of the green. 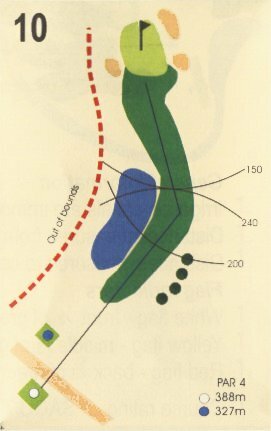 The last of the short holes is a straight forward short iron over a small dam requiring a carry to just short of the green. 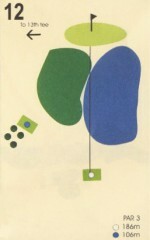 The green is protected left and right and slopes towards the front. 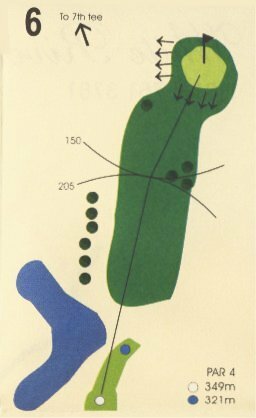 An over hit shot requires a very difficulty downhill put on a fast green, particularly if the pin placement is front and centre. Hole 18 : A wonderful finishing hole. A wonderful finishing hole. From an elevated tee the fairway drops down dramatically before rising to an elevated green protected on all sides by bunkers. With out of bounds and heavy rough on the left and trees on the right this is the longest par four on the course and a good driving hole.